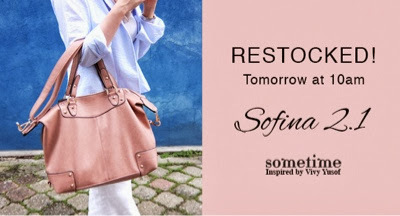 I finally get my hands on Vivy's inspired bag, the Sofina. I have been reading her blog for years now, before Fashion Valet even exist. That's about more than 2 years already I think. I missed my chance on their first Sofina which I prefer because it does not have the studs. Not really a studs fan but the colour caught my attention. I also bought a black plain top and a notebook. Delivery was fast as usual from the reliable DHL people. 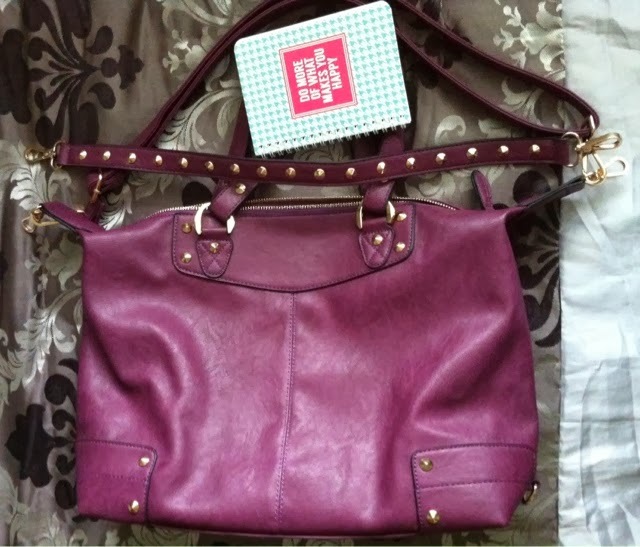 Not going to buy more unless they are going to produce the non-studded ones and maybe, a shoulder bag version of it. I don't mind the handheld/ arm-held? but having babies now, I much prefer a shoulder bag so the additional sling is really nice to have. Don't forget to check their website tomorrow if you missed you chance to get it last time.